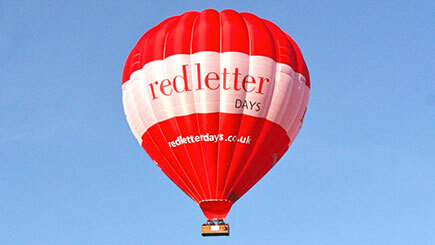 Share an incredible aerial adventure with a hot air balloon flight which is exclusive to four people. On arrival, meet an experienced pilot for a safety briefing before all helping to inflate and set-up the balloon for its voyage. Then, it's time to take to the skies. Ascend to amazing heights of up to 3,000 feet and take in unique bird's-eye views of the countryside below as the balloon peacefully cuts through the clouds. Upon returning to the ground, it's all hands on deck - help the crew to pack the balloon away being taken back to the original launch site to be presented with a commemorative flight certificate each. Balloon operators vary, with some offering a slightly longer flight and others a glass of champagne on landing. Exclusive to four people plus a pilot.